Lanreath Bed and Breakfasts. Compare latest rates and Live availability for all your favourite places and places you have always wanted to go using our new My Shortlist feature. Click + to add to your Shortlist. 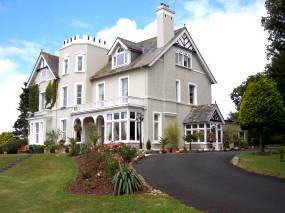 Bed and Breakfasts in Lanreath, Cornwall for 1 night from Wed Apr 24, 2019 to Thu Apr 25, 2019 within 10 miles, in an Average Nightly price range of £1 to £200. Set in Polperro, The Crumplehorn Inn & Mill provides accommodation with free WiFi and TV. All units include a fully equipped kitchenette, allowing guests to prepare their own meals. Guests at the bed and breakfast can enjoy tennis on site, or go snorkelling or fishing in the surroundings. Plymouth is 43 km from The Crumplehorn Inn & Mill, while Tavistock is 50 km away. The nearest airport is Newquay Cornwall Airport, 57 km from the accommodation. The Ship Inn is set in Fowey, 36 km from Plymouth. Guests can enjoy the on-site restaurant. Newquay is 33 km from The Ship Inn, while Falmouth is 37 km away. The nearest airport is Newquay Airport, 29 km from the property. Set in Fowey with St Catherines Castle nearby, Upton House offers accommodation with free WiFi. A continental breakfast is served every morning at the property. Guests can also relax in the shared lounge area. The nearest airport is Newquay Cornwall Airport, 45 km from the bed and breakfast. Built in 1900 Penrose retains a wealth of original features including fireplaces in most of the large and spacious en-suite rooms. Chris & Heidi provide a warm & friendly atmosphere and like nothing more than to help make your stay as enjoyable as possible. We are ideally located for exploring Cornwall as the Eden Project and beaches are only 10 minutes away and the north coast only 40 minutes. Lostwithiel itself is a hidden gem with lots of antique shops and lovely walks.